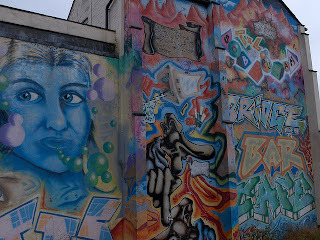 I spotted a brilliant non-Conformist mural in Banbury, Oxfordshire. It fills with me with hope to see things like this. Sadly a lot of this kind of uplifting, inspiring and rebellious creativity is constantly under threat.